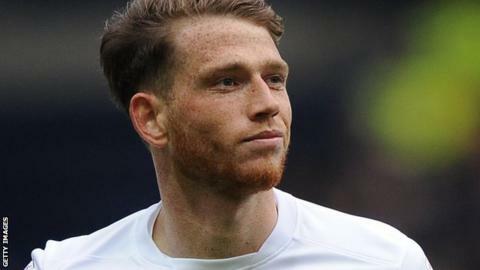 Preston striker Joe Garner could be out for up to four months with a tendon injury, while Aston Villa have recalled forward Callum Robinson. Garner, 26, is North End's top goalscorer this season with 12 goals in 20 appearances. Robinson, 19, joined from Villa in September and had his loan extended until January last month. "Unfortunately Joe went for a scan and he's suffered some tendon injuries," said manager Simon Grayson. "He's going to be out for three to four months," he told BBC Radio Lancashire. "As much as we will miss Joe because he's a fantastic player and because of his goals, we've got strength in depth with other players." Robinson, an England Under-20 international, scored five goals during his time at Deepdale, including a hat-trick in the FA Cup against Havant & Waterlooville. "It was a massive double whammy for me today - in the past 24 hours I've lost two fantastic players," added Grayson. "I think Aston Villa have looked at their team and they need goals and looked at a kid who has been absolutely outstanding and a pleasure to work with. "It's down to me to try and recruit another player or two, even three possibly, in the next 48 hours and I've been given the green light from the owner." North End progressed through to the northern area semi-finals of the Johnstone's Paint Trophy on Tuesday with a 10-9 penalties win over Oldham after it finished 2-2 after extra-time.